This year's boating season comes on the heals of some promising statistics released this month by the USCG: boating fatalities were down in 2013 for the 2nd consecutive year! According to the U.S. Coast Guard's 2013 Recreational Boating Statistics, boating fatalities decreased to 560, the lowest number of boating fatalities on record. The previous record low was recorded in 2012, with 651 recreational boating fatalities. 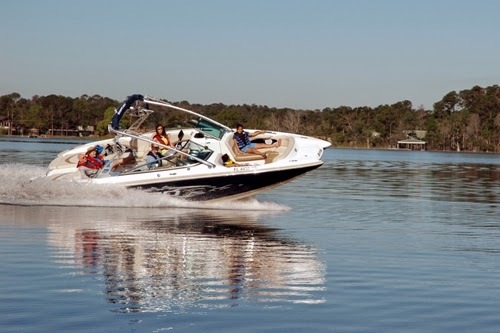 From 2012 to 2013, deaths in boating related accidents decreased by 14 percent. Are safety and awareness campaigns working? Are people being smarter about boating? Wearing more life jackets and drinking and driving less often? Or are there simply less boats and people on the water over the past couple of years. If you ask folks at the National Safe Boating Council (NSBC), you'll surely hear that it is the former. Each year, the NSBC produces initiatives and programs in conjunction with other like-minded organizations to promote safer boating practices, many focusing on the wearing of life jackets. We here at the Daily Boater firmly believe that the efforts of the NSBC are having a positive effect on boating safety. Other organizations are getting in on the action, too. The BoatUS Foundation for Boating Safety & Clean Water makes it easier for boating families to stay safe with its national life jacket loaner program. Around the country, over 500 marinas, fuel docks, BoatUS Towing Operators, Army Corp recreation sites and other waterfront businesses lend out kids’ life jackets for the day or weekend to families who have a temporary need for one. The Sea Tow Foundation also has a life jacket lending program. In fact, the organization just announced today that five new Sea Tow Foundation Life Jacket Loaner Stands will open at select city and park locations in Annapolis, Maryland this summer. If you've been boating for years, are you seeing more people wearing their life jackets on the water? Have you noticed less people operating a boat with a drink in their hand? Or are you simply seeing less people on the water? We want to hear from you!